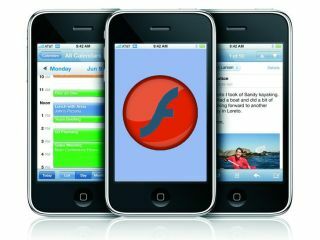 It's hardly a major surprise, but Adobe has confirmed that it is working on a version of flash for Apple's iPhone. Steve Jobs stunned Adobe when he publicly stated that Flash wasn't good enough to be included on the iPhone, but the company has not given up hope of putting the rich-media internet plug-in onto the handset. According to Flash Magazine at the Flash on the Beach (FOBA) conference, Paul Betlem, the senior director of engineering, confirmed to the audience that his team was indeed working on an iPhone version of the player. Of course, whether or not this is approved by Apple is another matter entirely, with the Cupertino company getting final say on what makes it onto its App store. The prospect of iPhone Flash, on the surface, looks like a good one, with many websites leaning heavily on Adobe's player meaning that the internet experience on the iPhone is still some way from what you would expect to find on a normal browser. However, if Flash was incorporated it would raise the prospect of people playing flash games instead of downloading games as Apps – which does not fit into Apple's model. As expert John Gruber says It could even mean that the functionality could be used to develop for Flash rather than specifically the iPhone, effectively circumventing the App store entirely. Of course, this may be the very problem that Adobe is looking to work around – but in the meantime, Flash seems to be some way away from a reality on the iPhone.